Open Table or Figure or Fit Plot with initial data, select desired curves or columns and click Processing → Correlation menu item. Linear/Circular radio buttons specify the signal to be treated as periodic or not. 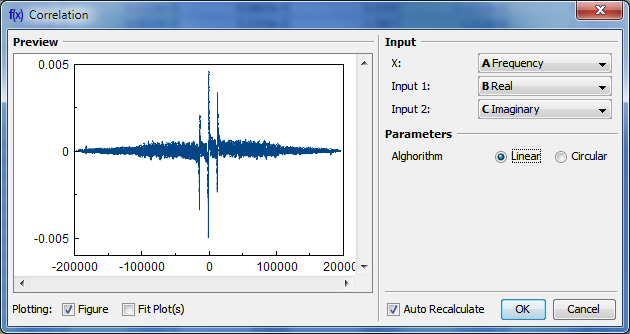 MagicPlot computes correlation using FFT (see Cross-correlation theorem).